Although one might argue that the world is facing plenty of seemingly-unsolvable problems at the moment, two of the most troubling are food shortages and the overabundance of non-biodegradable garbage. 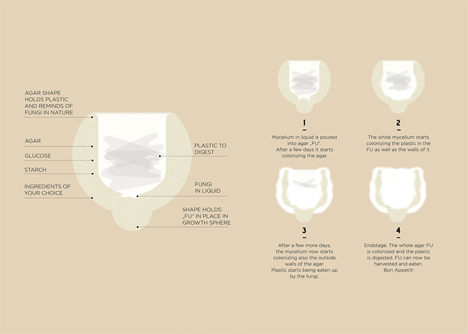 Austrian design firm Livin Studio teamed up with researchers at Ultrecht University to develop a brilliant idea for handling both. 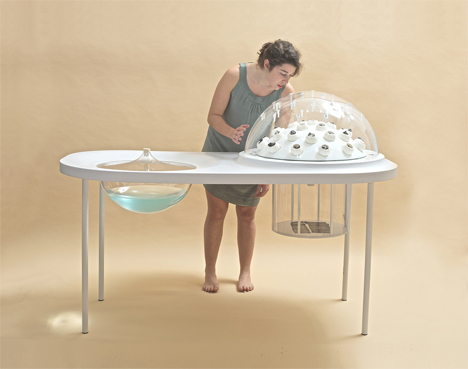 Their concept is called Fungi Mutarium. The amazing – yet totally possible – idea is to use plastic-eating fungi to convert waste plastic into totally safe food for humans. The fungi used in the Mutarium are Schizophyllum Commune and Pleurotus Ostreatus, two strains that grow almost everywhere in the world and in some places are already highly appreciated as food sources. Both strains of fungi have the unique property of being able to digest non-biodegradable plastics. As the fungi break down plastics, they don’t store the toxic ingredients. That means that when the fungi become mature and are ready to eat, they won’t leave behind toxic plastic elements in your `digestive system. 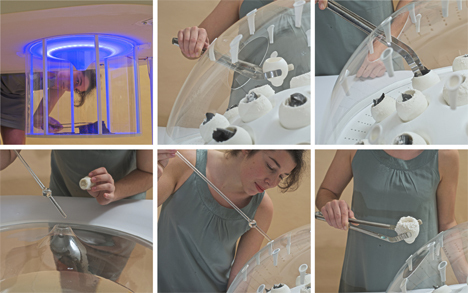 The Fungi Mutarium is segmented into two spaces: one to grow the fungi, and one to hold small cups made of agar, a seaweed-based substitute for gelatin, mixed with salt and sugar. These cups are called FUs, and they are where the action happens. 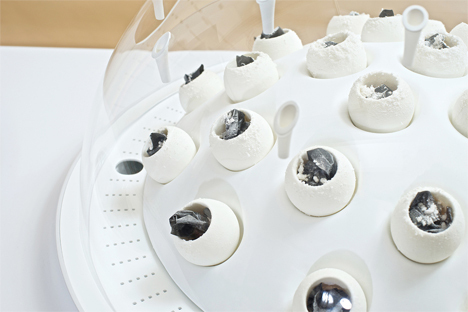 The FUs are filled with UV-sterilized plastic and then sprinkled with fungi spores suspended in a liquid nutrient solution. The fungi go to work breaking down the plastic. The entire process is pretty long, taking up to a few months before it’s ready to consume. But when you consider that the average piece of plastic takes hundreds of years or longer to decompose, a few months is a blink of the eye. The Fungi Mutarium could quite possibly solve (or at least slow) the global food crisis as well as the growing garbage dilemma. 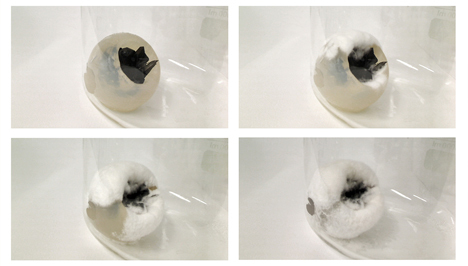 It could allow food to grow in places where typical crops can’t grow. However, the technology is pretty far off from being perfected. 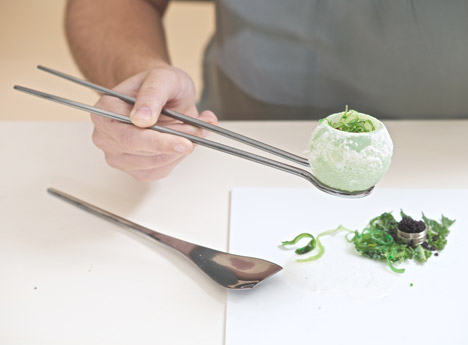 So far, the Mutarium can produce food that is edible and varies widely in flavor. We will probably never be able to replicate the flavors and textures of the food we’re used to eating today, but who knows? The future is a strange place where just about anything is possible. See more in Earth & Nature or under Science. December, 2014.